Learning In Afterschool & Summer Blog: More Time in School, or Quality Learning Experiences? 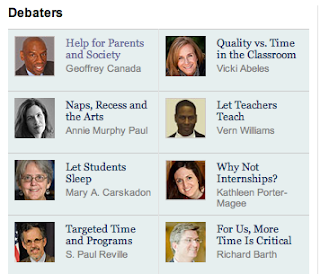 More Time in School, or Quality Learning Experiences? In our previous blogs, we’ve followed the dialogue regarding extended learning opportunities and a longer school day. A debate on this issue, featuring Geoffrey Canada and others, was featured in the New York Times series, Room For Debate. We believe that introducing the Learning in Afterschool Principles should be the focus of any efforts to expand the school day.